The belt is a functional accessory, but it completes an outfit and has its own importance in terms of appearance. 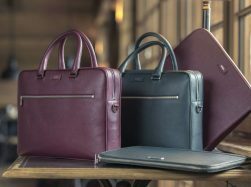 Boggi Milano’s range comprises many designs that offer styles to accompany everything from formal suits to the most casual looks. They are versatile, accessible products, ideal for completing an outfit or to accompany a purchase of shoes, or as a gift idea. 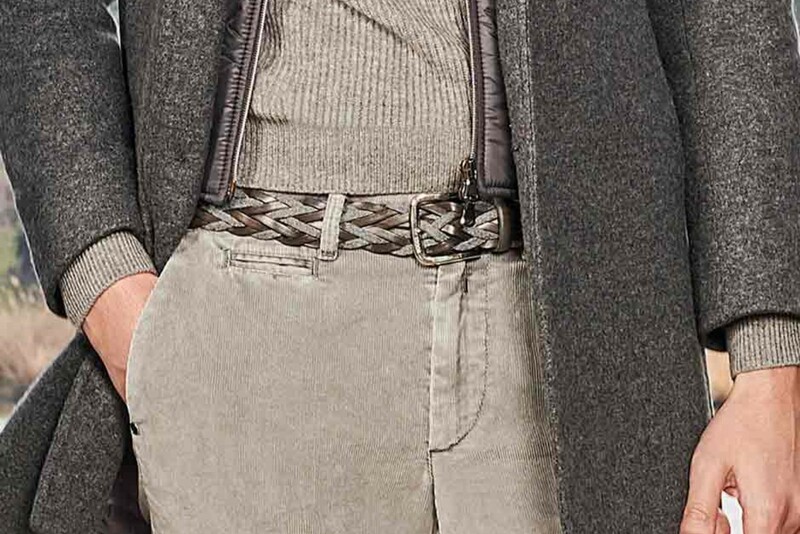 Reversible belts provide two alternative looks by means of the removable buckle. 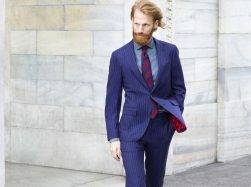 Our style advice is to match the belt to the shoes, so that every Gentleman should have three types of belt: black leather, brown leather, and another coloured belt, which could be in canvas or fabric, plain or interwoven. A belt should be worn buckled at its third hole so that the end of the belt is neither too long nor too short. 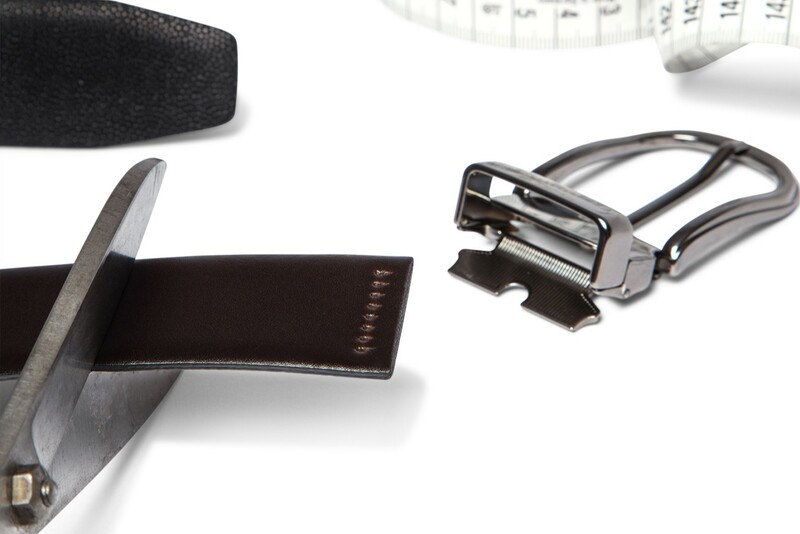 The measure of a belt corresponds to the length between the third hole and the base of the tongue on the buckle. 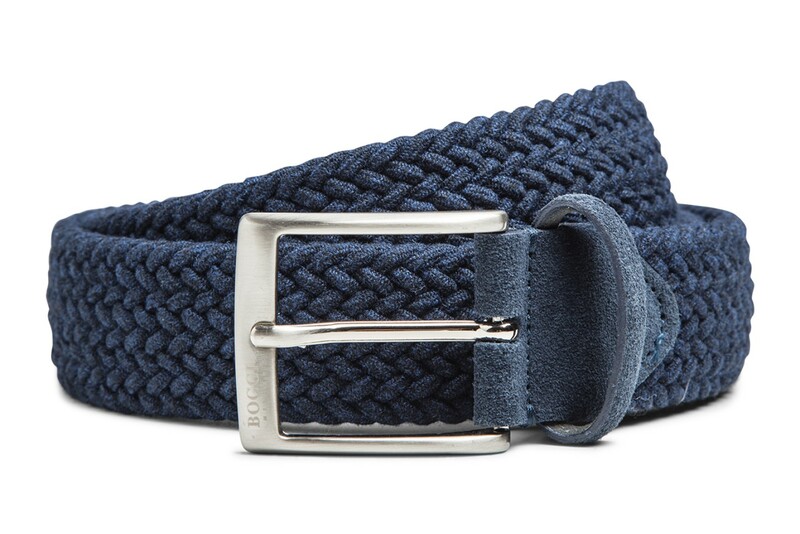 Most of Boggi Milano’s belts are available in six lengths. The reversible versions are available in three lengths, and they can easily be cut to size, an operation that can be performed at home or in the boutique. Here are some of Boggi Milano’s highlights. The caviar in the name refers to the unique textured calf leather that gives the product an unmistakable style and high-quality looks, ideal as a stand-alone accent in a smart casual look or for providing a match with shoes. The gunmetal-tint buckle provides simple reversible functionality, and the belt can be transformed from black caviar to black smooth leather quickly and effortlessly. The buckle can be completely removed from the leather strap, and therefore the latter can easily be shortened to size, whether in the store or at home. This makes it ideal as a gift item for a person whose size you don’t know. Product number BO17C010401. This belt is an important accessory for formalwear and classical fashion looks. 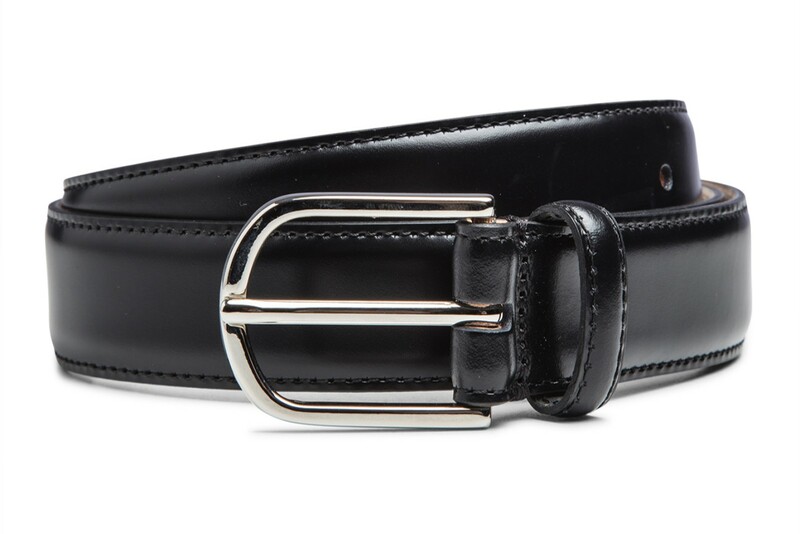 It is a black belt, 3 cm in width, with a single row of edge stitching, coated edges, five buckle holes, and robust buckle stitching for a long life. Its sophisticated style is enhanced by its subtlety, with a non-branded electroplated buckle of elegant rounded rectangular design. It has a single fixed loop. An all-Italian product that will last a lifetime. Product number BO17C009901. 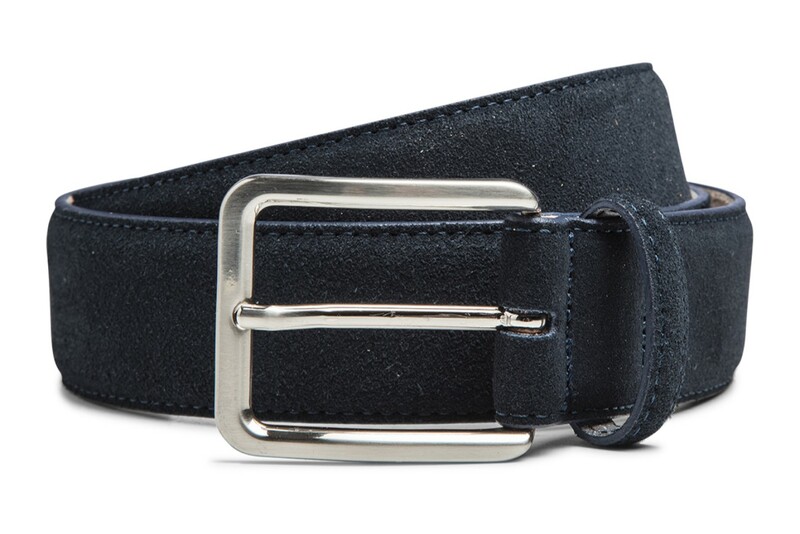 This suede belt is available in navy blue and dark brown versions. It has a single row of blue stitching at the edges, and a natural nubuck leather lining. The smart rectangular buckle is discreetly branded on the front. There is a single fixed loop. Product numbers BO17C010001 (navy blue), BO17C010002 (dark brown). This belt is a favourite for its easy wearability, its surprising elasticity and its woven structure that creates an interesting highlight for any casual outfit. It is available in three sizes, 90, 100 and 110 cm, and its universal length adjustment makes it ideal as a gift item. 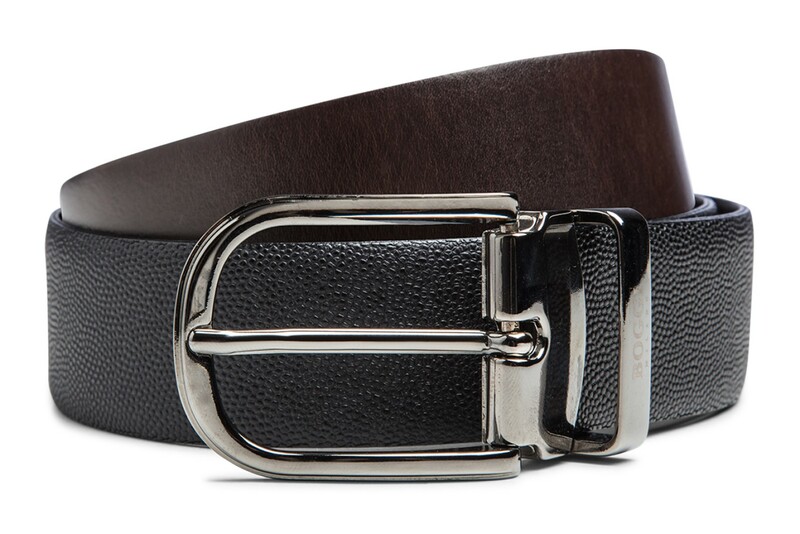 The buckle is in brushed steel with discreet Boggi Milano logo; strap extremities are trimmed in suede. Product number BO17C010301. 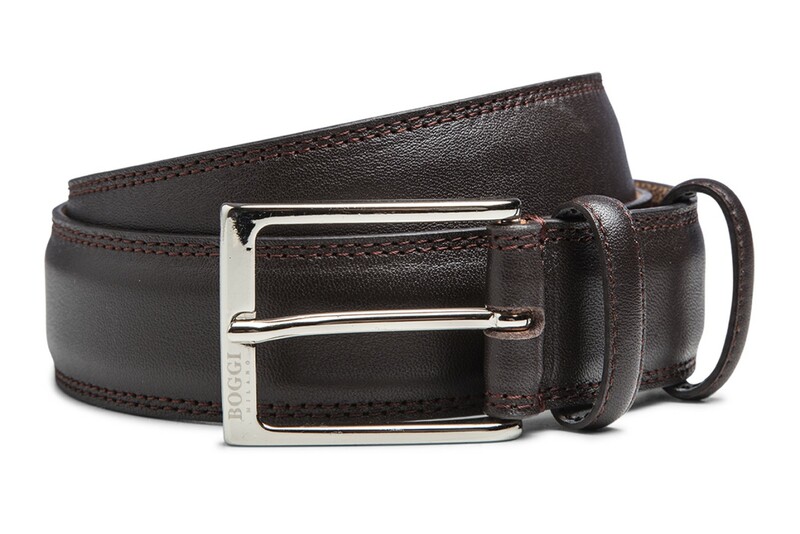 Brown and black belts are an essential part of any man’s wardrobe, and this reversible belt offers both colours in a single product. The strap has coated edges, no stitching, and a beautifully smooth, rounded finish that makes it easy to thread it through trouser loops. The buckle can be easily detached by lifting the metal flap on the inner face, so that the leather strap can be pulled out, turned and replaced. It can also be cut to size as required, and so it is ideal as a gift for a person whose size you don’t know. Product number BO17C010501. The leather used for this belt has a lovely microtexture that makes each item unique. The strap has five buckle holes and a double row of stitching that adds extra character. The Boggi Milano logo and other product details are heat-embossed onto the nubuck lining. 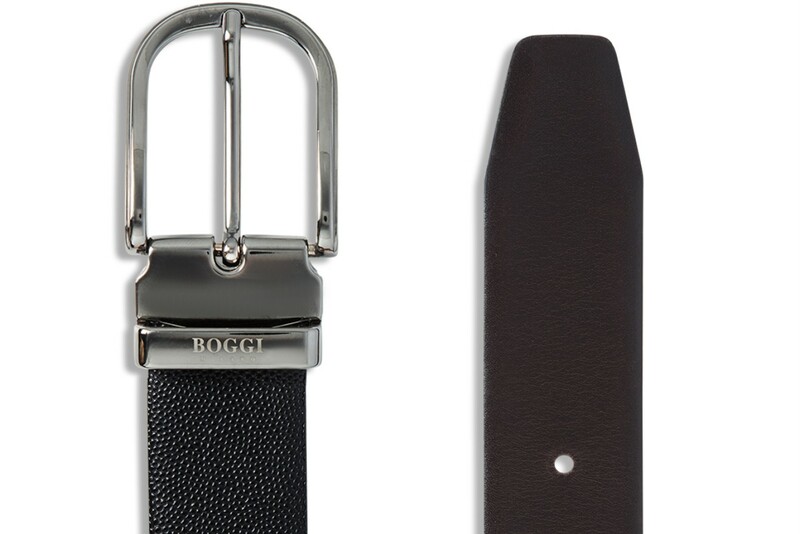 The smart rectangular buckle is discreetly branded with the Boggi Milano logo. 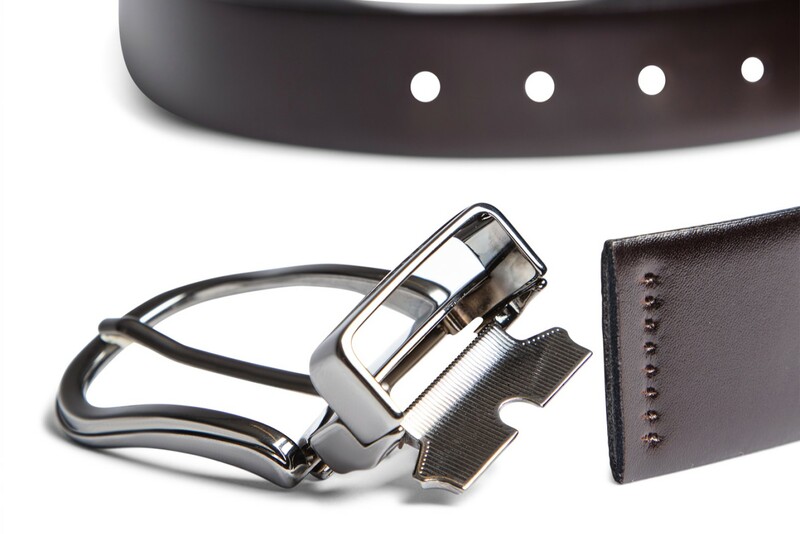 The belt has a single fixed loop plus another mobile loop linked to the buckle by means of a leather tag that enables its position to be adjusted. It is available in two versions, black and dark brown. Product numbers BO17C010102 (black), BO17C010101 (dark brown).